Our friends at Modular Home Builder an industry blog run by our friends at www.modularhomecoach.com ran the following article the other day about our on-going Nehemiah Spring Creek housing project. We are proud of our almost 20 year affiliation with Nehemiah and Monadnock Construction the GC of the project. Capsys has provided hundreds of high-quality family houses and apartments to the Nehemiah Organization since 1996. This article describes our current project and contains a neat Spring Creek neighborhood drive-through video at the end. Our thanks the Mod Coach for the posting. The leading blog for the modular home industry. Capsys Corp is currently finishing up the first grouping of homes for the next phase of Nehemiah’s Spring Creek project located on a former 45 acre former landfill site east of Brooklyn, NY. Spring Creek Nehemiah (as residents call it) will be home to 233 first-time homeowners who won the right to live at Nehemiah in a lottery sponsored by the city’s Department of Housing Preservation and Development, a major partner in the project. They applied to the lottery more than five years ago, some as many as 17 years back. Soon, 50 new owners will move in. Five parks, a supermarket and EMS station will be finished upon plan completion. 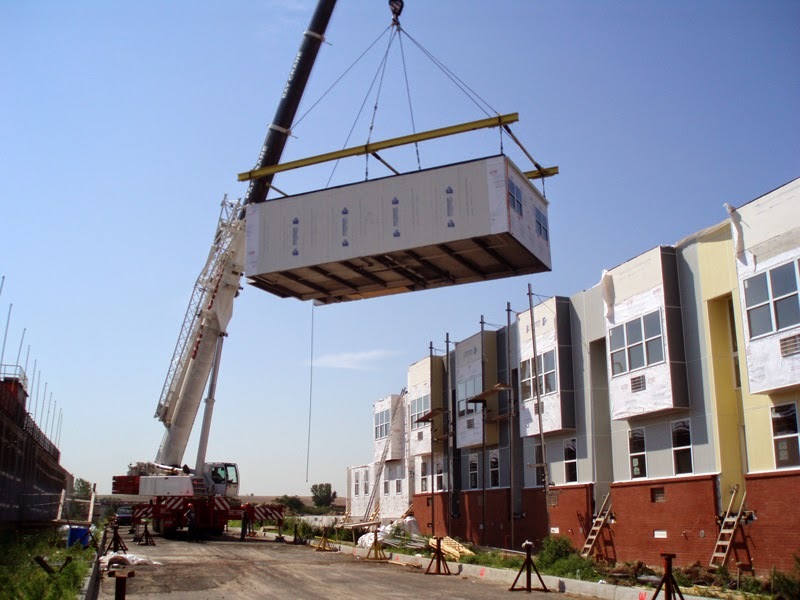 These prefabricated townhouses are part of the Nehemiah program to build the largest affordable housing development for first-time homebuyers in New York City. More than 800 homes are planned around a vibrant community-oriented streetscape and neighborhood. The first two phases and phase 3B, approximately 287 of 578 townhouses, are now complete with phase 3A under construction. 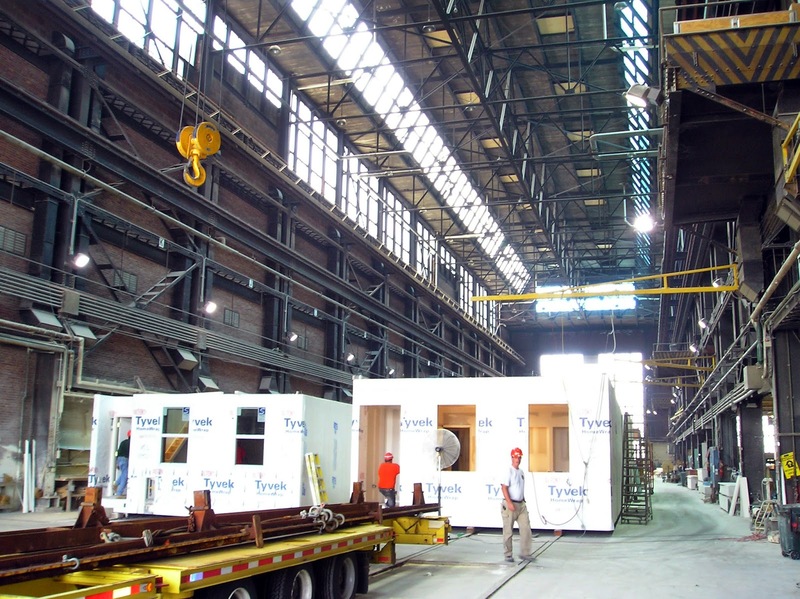 Individual modular units are constructed in a nearby factory and trucked to the site where they are then joined together into two-, three- and four-story houses. To create visual interest and distinct identities, multiple facade types were designed, each of which can be clad in one of a dozen different colors of siding. A modern interpretation of traditional Brooklyn townhouses, stoops line the street leading to a raised front door. Parking is along rear alleys in the interior of each block, allowing the homes to open directly onto the sidewalk.